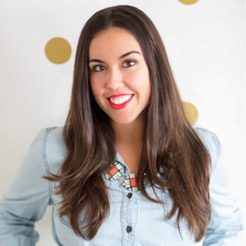 As a small business owner and working mom I spend the majority of my time in my home office and have very little time to clean! So, it’s important to me to keep my office space feeling fresh and clean constantly in order to maintain sanity and well just cleanliness! I love crisp white furniture, but the problem with it is that white furniture tends to get dirty so quickly! I like to throw a little soiree every Thanksgiving, so I’m prepping early and giving the office chairs a good wipe down. 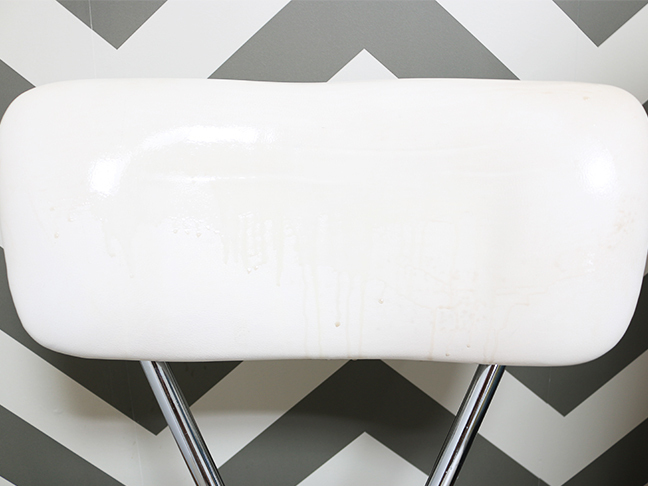 We’ve tried everything to combat blue jeans stains and dirt over the years…soap and water just won’t do it. But those stains from blue jeans and dirt were no match for Clorox® Bleach! 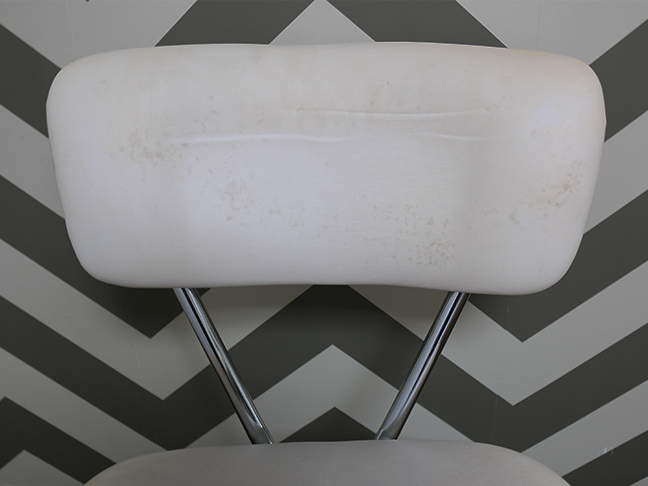 It wasn’t until I used Clorox® Bleach that I realized how dirty this “white” chair was…gross! I loved the satisfaction of seeing the dirt wash away and leave a bright white finish behind. Now, our Thanksgiving potluck will be all the merrier with a clean area to enjoy the feast! 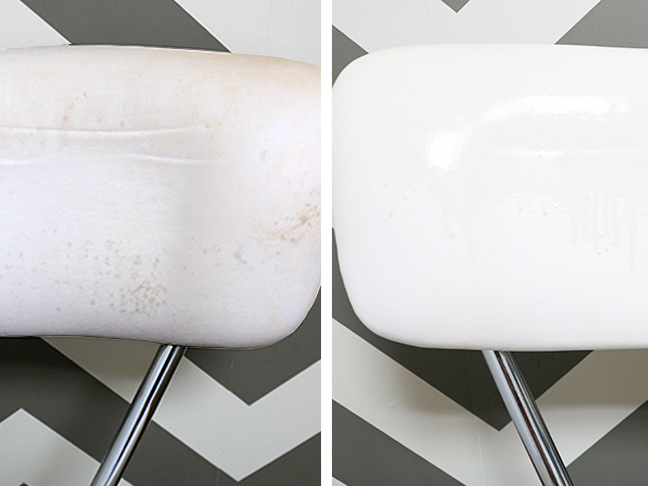 Below are the tools and simple process I used to clean these chairs. 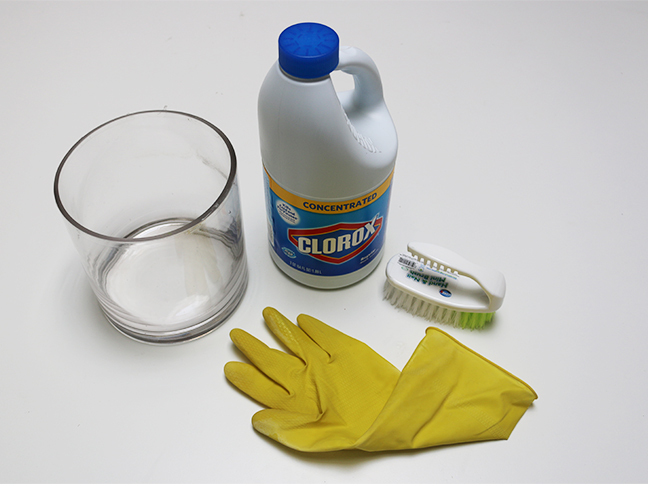 Step 1: Mix 1 cup of Clorox® Bleach with 1 cup water. 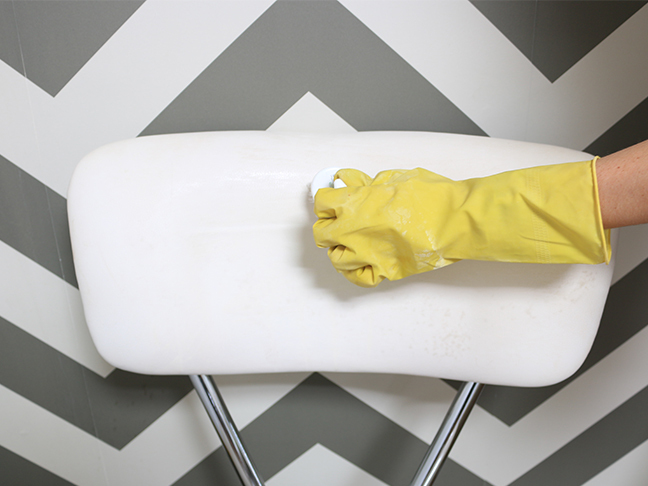 Step 2: Wearing a rubber glove, dip a scrub brush in the solution and scrub the surface of the chair. Step 3: Scrub until you deem fit and wipe away the dirt and liquid with a paper towel. Then say hello to my “brand new” chair! 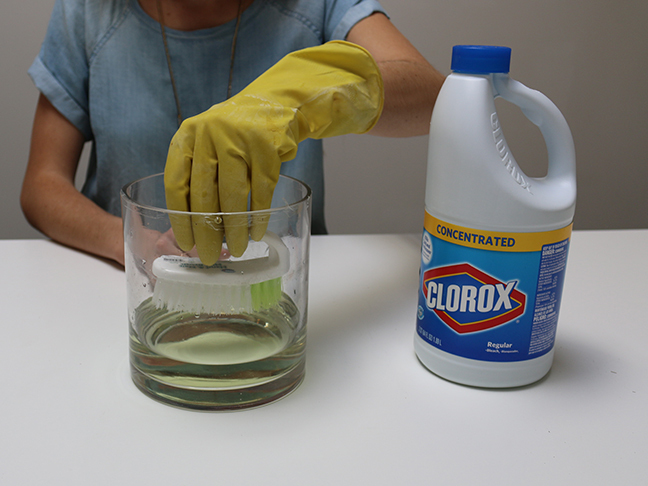 Clorox® Bleach disinfects 33% more than store brands, so I said goodbye to germs, too!